Google Pixel 3: It’s around a year to release the next smartphone. 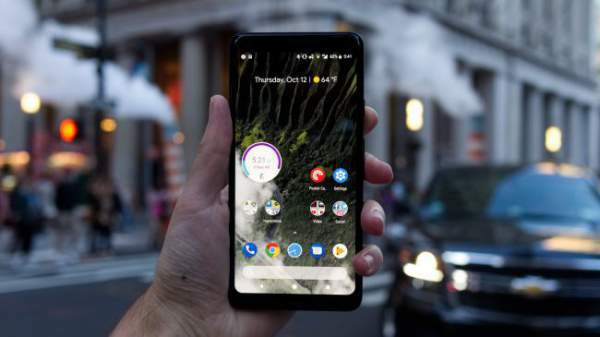 After Google Pixel / XL and the Google Pixel 2 / XL, the Pixel 3 / XL are going to be the third Smartphone made by the search engine and tech giant ‘Google.’ As from the reviews of the Pixel2, it made the whole world clear that how powerful, and better the camera and its new features are. But the most important change of all is the absence of 3.5mm headphone jack. The Google Pixel2 was launched on October 4, 2017, and went on sale at $649 for the 64GB variant and $749 for the 128GB variant. We all know that the Google Pixel 2 and GooglePixel 2 XL made a huge impact in the 2017 smartphone industry setting numerous benchmarks and gave a very tough competition with its only “SINGLE LENS CAMERA” which shook everyone, which no one expected to do that with a single camera and compete with the IPHONE X camera and the SAMSUNG GALAXY S8+, but according to the latest rumors about the Google Pixel3, it’s going to take us to the other level of Smartphone experience. The first two Android flagship smartphones were released on the same date (October 4) of different years – 2016 and 2017. As there is no official date out yet, we can assume that the next Gen phone will be launched in the same month in 2018. Even if it isn’t released in October, then it will surely come out by the end of the year. The expected price for Pixel 3 is almost near to that of the Pixel2 and the Pixel 2 XL, so there may not be a huge difference between the price. There are very fewer chances of the price hike, the only reason that the price may go up is due to its high-end production value and brand value. Since very less is known about this phone, one more interesting, yet surprising rumors is the addition of one more phone to the Pixel3 family. There might be 3 phones under the category. A trusted source told that the upcoming phones are codenamed ‘crosshatch,’ ‘albacore,’ and ‘blueline.’ Two of them are expected to be premium while the third one would be a higher-end version. This idea of splitting the phone into these categories is very much similar to what iPhone has done with its iPhone 8, iPhone 8 Plus and at the top iPhone X. The evidence for one of those Pixel 3 models has been found with crosshatch mentioned on an AOSP (Android Open Source Project) listing. As its competitors mainly iPhone X and Samsung Galaxy Note 8 have all nearly-eliminated bezels to make the phone looks super attractive and convincing, but Pixel2 was unable to do so, as it had bezels. It still has large bezels both below and above the screen; the reason for this is its speaker, which is placed at the front. Hopefully, Google will find a way to integrate speakers with smaller bezels. Active Edge enables the launch of Google assistant by squeezing the sides of Pixel 2 phones. It’s similar to HTC U11’s feature, but it can’t be re-mapped. We would be happier if Google can make it context-sensitive. For instance, if used in the Camera app, it would take a photo. Despite the use of the single lens camera, the Pixel2 has set amazing benchmarks, with its score of 98 out of 100, making it the best camera phone in the world in 2017. But the software can be improved a bit. For instance, it can integrate gesture controls like switching between the main and front camera with a swipe as we can do on Samsung and LG phones. Such features will make the phone easy to use and faster. The Pixel 2 had ditched the headphone jack like its competitors – iPhone had done, which we want this decision to be reversed, as this has put many users to inconvenience and this idea of taking off the headphone jack doesn’t seem to be compelling. The Pixel2 has a reasonable battery life (3300 mAh) and it also supports fast charging, but the major difference is the omission of wireless charging facility. This omission is even more disturbing when its competitors like iPhone and Samsung have already come up with this idea. So, we would like to see Pixel 3 come up with wireless charging. The Google Pixel 2 has a 5-inch, 1080 AMOLED display, with 441PPI (pixels per inch). It isn’t enough in this price segment when its competitors are integrating QHD screens. Google still can improve the viewing angles and vibrancy. The Pixel 2 range sports IP67 certification, which means it can survive being submerged up to 1 meter deep for up to 30 minutes. This category smartphone with this resistance is plenty enough, but not much enough to take down its competitors like Samsung Galaxy S8, which has an IP68 certification, which can survive submerged up to 1.5 meter deep for the same duration. It will give customers/buyers a peace of mind that their expensive purchase is more safe and protected against rain and spills. Stay tuned to TheReporterTimes for more phone news.